How many of us have that one braggart friend who incessantly talks of his perfect closet? Or do we remember when the last time we donned non-branded apparel for an important meeting was? Well, we all discuss ‘environment’, regret and then simply move on! But we should, as a bare minimum, be changing our wardrobes. One of the most ecologically harmful industries in the whole world is the textile industry. Synthetic dyes used in textiles contribute to 17 to 20 percent of the water pollution created by industrial wastes. Natural dyes come as a savior to the industrial production of eco-friendly clothing. Color is the main attraction of any fabric. The use of natural dye dates back to 3500 BC when vegetables, fruits, flowers, insects and certain fishes constituted the color spectrum. Natural dye approach can be seen as a response to the fundamental motivation of a return to the traditional artisanal techniques of a certain region or culture. Natural dyes add value to a product (in Indonesia return to labor for the weaver on natural dyes is at least 370% of the return on synthetic dyes) in a way that cannot be duplicated in the factory production against which weavers are competing if they use synthetic dyes. The Central Pollution Control Board (CPCB) in India categorizes process waste sludge from synthetic dye production as hazardous, yet has no norms for proper disposal. The result is that solid waste is stacked in any available space, on riverbanks and roadsides, where it leaches back into the water or soil. More than 3600 individual textile dyes are being manufactured all around. The textile manufacture industry uses more than 8000 chemicals in various processes of textile including dyeing and printing. The effluents released in water contain sulphur, naphthol, vat dyes, nitrates, acetic acid, soaps, chromium com- pounds and heavy metals like copper, arsenic, lead, cadmium, mercury, nickel, and cobalt. The scum prevents sunlight penetration and hinders the oxygen transfer mechanism thus positioning a threat to marine life. The waste when allowed to flow in fields clogs pores in the soil resulting in reduced productivity. About 40% of globally used colorants contain organically bound chlorine, a known carcinogen. All the organic materials present in the wastewater from a textile industry are of great concern in water treatment because they react with many disinfectants, especially chlorine. Lead: Easily absorbed through the skin or inhalation of dust which contains residues. Lead impacts the nervous system, can reduce IQ, stunt growth and cause behavior problems. Cadmium: Extremely toxic due to inhibition of various enzyme systems; primary target organ is the kidney; but also causes lung cancer; also causes testicular damage and male sterility. Plants readily absorb cadmium from the soil so it easily enters food chain. Chronic exposure is associated with renal disease. Mercury: Easily absorbed through the skin or inhalation of dust which contains residues; affects the immune system, alters genetic and enzyme systems, damages the nervous system. At present we do not have any technology for zero discharge. Such is the grim reality of what goes into making those chic outfits! The use of natural dyes means a return to dyestuffs traditionally used in different geographical and cultural areas, revitalizing traditional dyeing techniques which are in danger of disappearing. These practices provide new job opportunities for traditional artisans and producers, and help boost the domestic economy. Batik, bandhani, leheria and Rõketsuzome are some antique dyeing techniques using natural dyes. Turmeric for yellow, indigo for blues, berries for purple. Did they use the wild dye plants? No. The plants were cultivated to meet the vast demands. This did, surely, cut down on pollution but not on elegance. Alizarin dyes: Used to give red color to fabrics. These groups of dyes can cause dermatitis and on longer exposure can cause breathing problems (occupational hazards). An organic substitute to alizarin dyes is madder (Rubia cardifolia). 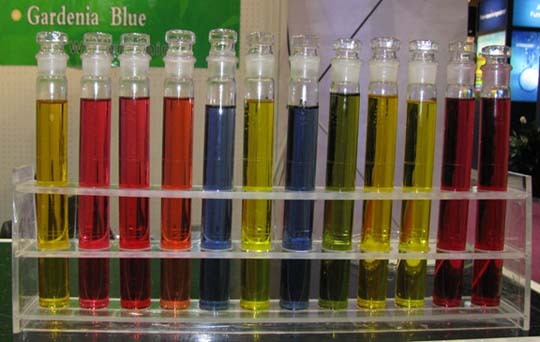 Azo dyes: Also known as Orange G these dyes are one of the most harmful synthetic dyes used till date. Import of fabrics with azo dyes is prohibited in many countries. These dyes cause severe headaches and dizziness, rashes on exposure. Unborn babies can be affected in the womb as they grow and can be born crippled, blind or even dead. An organic substitute to azo dyes is the easily available Kamala (Mallotus phillipinses) (an Indian substitute). The total size of the world market for dyes, pigments and intermediates was estimated at around US $ 23 billion in 1999. The vegetable dyes constituted US $ 0.03 billion of the market then, which has escalated to greater levels by now. If you are curious about where to find these natural dyers and printers; studies suggest that India has numerous units producing natural dyes in areas of Rajasthan, Madhya Pradesh, Chhattisgarh, Jharkhand Orissa and the north-east. The total production of the vegetable dye-stuff is estimated at about 2 to 2.54 tonnes per day in these regions. 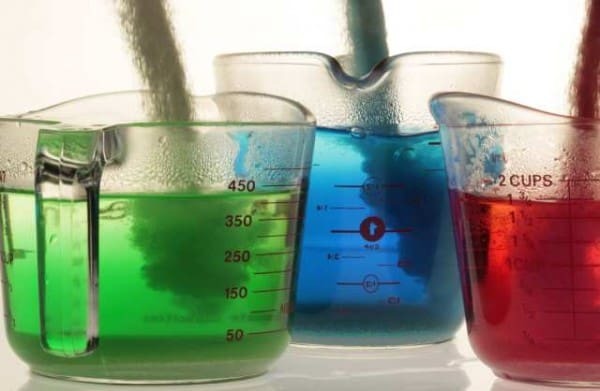 Since the price of vegetable dyes varies from manufacturer to manufacturer depending upon the availability of raw material and the processing facilities required to produce individual dyes and also their demand, the price of finished fabrics also vary. Many brands sell authentic organic apparel at their outlets. It is for us to go shop searching for these particular fabrics. Most of us have come across those heirloom silks which our great-grandmothers saved for the wedding of their daughters & sons and even grand children, a practice that is still prevalent in India. Historically garments were valuable objects which were kept the whole life and handed down in wills. Use of natural dyes is not a new trend; it has been there for ages but has never found the right amount of publicity. The use of natural dyes in cloth making can be seen as a necessary luxury to trigger off a change in habits. Getting back to the roots and flaunting your find is no sin! In the end it is only the great minds that can afford simple style. Krishnakali Ghosh is an aspiring environmental planner. Pursuing her Bachelors from National Institute of Technology, Bhopal she has worked on lake conservation and housing development projects. She likes knowing everything good, green and graceful. A believer of ‘superheroes-save-the world’; she loves popularizing eco-friendly innovations.